Our team at work wanted to do a fun group activity, so we went out to the Kingston Springs (near Foggy Bottom where I canoed with Mom and Sissy) to Adventureworks. I really liked the zipline course. While I'm afraid of heights, ziplining feels more secure to me. 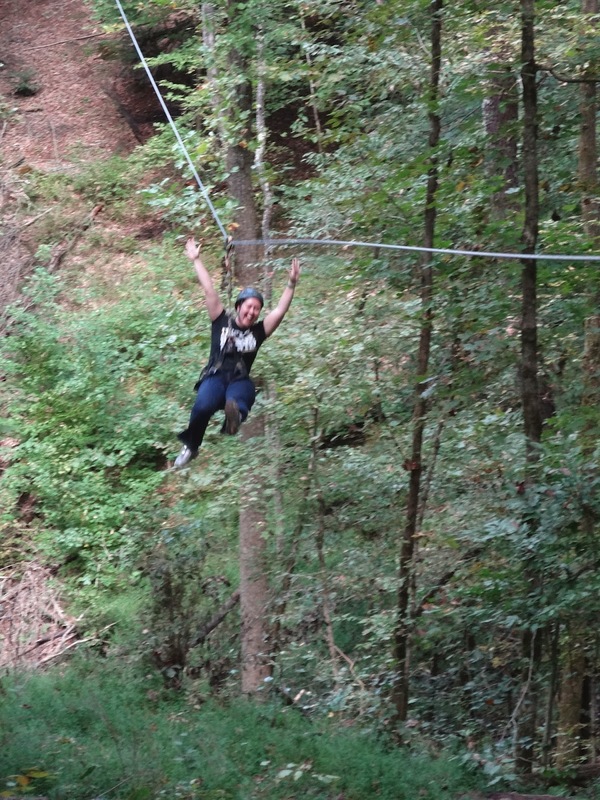 I'm afraid of falling more than anything, so ziplining and its speed/momentum don't freak me out as much. It was a good time! We had a tasty lunch afterwards at South Street in midtown. We noshed on chips and dip to start, after burning a ton of energy and calories during the morning at Adventureworks. I decided to have the pulled chicken as my meal, with a side of homemade tater tots. Those tater tots were AMAZING. They taste more like risotto balls or something. They were soft but crispy, and super delicious. I'd go back there just to eat those tots. I felt like the service was extremely slow, but then again it was a weekday afternoon, after the lunch rush. So maybe they were short-staffed. No matter, though, as the food made up for it! It was nerve-wracking for me, but yes it was FUN! That looks so fun! 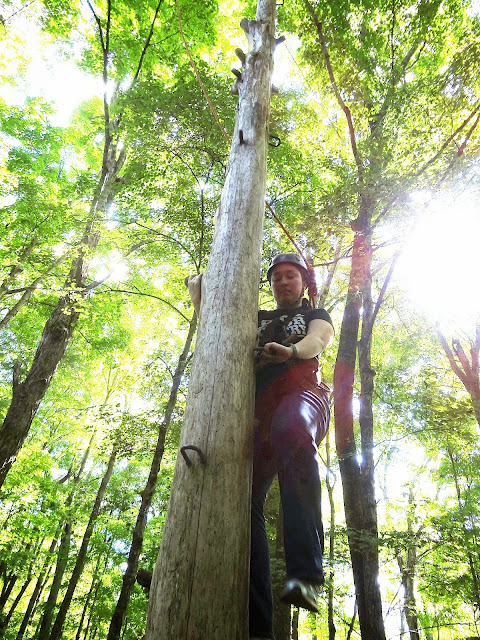 We did some ziplining in Costa Rica - which was amazing - and I've been wanting to find a place in the states that could rival that experience. Looks like Tennessee is the place to be! Also - you made me crave tater tots now. Thanks for following, Whit! I went ziplining in the rainforest in St. Lucia, so this was very different... but still super fun! AND I LOVE TATER TOTS!!! Straight No Chaser, 2nd Year!